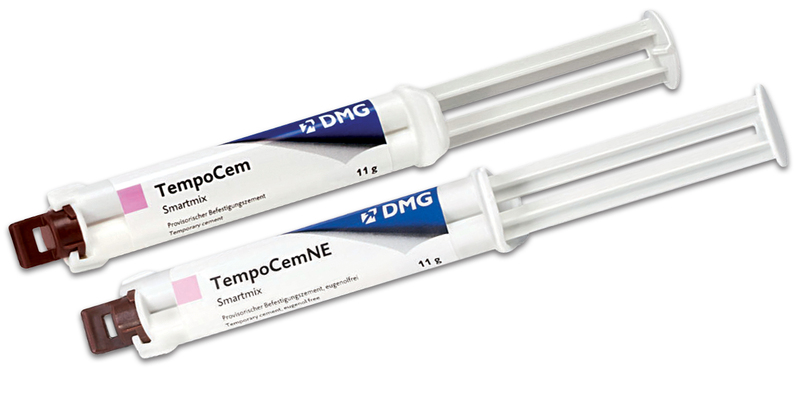 Temporary zinc oxide cement provides low film thickness, reliable adhesion, easy and clean removal. Excess can be removed easily, too. Contains: 2 x 11g syringes, 10 Smartmix tips. Mixing tips have brown hub with clear barrel and white mixer.